Public health officials attribute the quality of life we have today to three things: better pharmaceuticals and vaccines, better sanitation and better pest control. Like a silent killer, pests can breed and take over your house without your knowing. Before you know it, there could be severe damage that is very costly to repair. However, we are lucky to live in an age where pests are preventable, all you need to do is look out for the key signs. 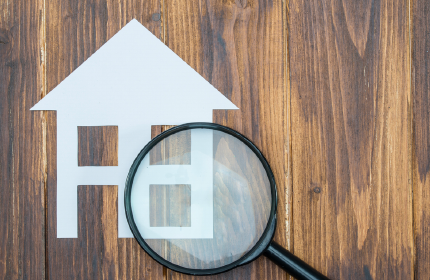 We’ve compiled 6 signs of pest infestations that you need to look for when house hunting. 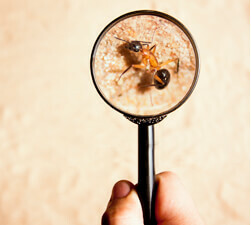 ​ Termites, or white ants, are one of the most destructive groups of pests in existence. It has been found that one in three homes will be affected by termites, according to CSIRO. Moreover, termite damage discovered by chance is not usually covered by insurance companies, meaning you have to fork out large sums of money to fix the damage caused in your home. Termites eat timber, often eating it from the inside out. If your flooring or walls feel soft or hollow, it’s best to call the pest control professionals to assess your home. Not only spreading disease, rats and mice also cause physical damage to your home and your belongings - as well as giving off a rather nasty smell! The best way to check for rodents is to look for droppings, burrows and any rodent-like sights, sounds and smells. Also, physical signs of gnawing on wires, walls and furniture are a dead giveaway. In Australia, we have many types of spiders that are able to dwell in the home - often being able to survive for months without food or water. To avoid having a problem with spiders, it’s important to not leave clothes on the floor. As well as this, it can help to shake clothes or shoes thoroughly before putting them on and check bedding before going to bed. Another great way to prevent spiders is to vacuum regularly and remove noticeable webs. Another common pest occurrence in Australia is ants. Ants cause problems primarily when they forage in homes for food or water, and also when they construct nests in buildings and gardens. If you notice that you have a clear entry point for ants, and a trail and/or nest, you may want to consult some pest professionals. There are ways you can avoid having ants, such as cleaning up food and drink spills immediately, and ensuring all food is sealed when stored. As well as this, it is beneficial to seal up any cracks you may have that lead from the outside into your home. Aside from being downright creepy, cockroaches can contaminate food, utensils and preparation areas with droppings, cast skins, egg sacs, regurgitation marks and odours. Sure fire signs of cockroaches include droppings, odour, legs of cockroaches, carcasses, and egg cases. Prolific breeders, cockroaches are incredibly resilient creatures and can survive in the harshest of environments. Difficult to eradicate, it’s important you consult a qualified pest professional if you have a cockroach problem. Pests in your home or office are not only annoying, they can also cause structural damage and health risks to you and your family. Take the time to examine your home for signs of pests and areas where you can improve your pest prevention. If you are worried about a potential or existing pest problem, contact pest control services immediately. Your safety and health should never be compromised.